2 April - 30 September. 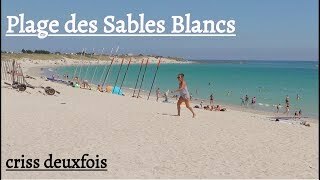 Lesconil is a pleasant, traditional seaside resort, south west of Quimper. 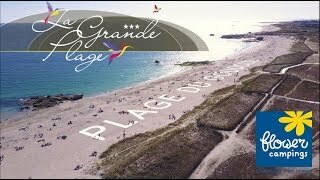 La Grande Plage has direct access to an excellent sandy beach and is close to the village centre. There are 120 pitches here, most with electrical connections, as well as a number of mobile homes and bungalow-style tents available for rent. Most pitches are well shaded. Leisure facilities include a recently constructed swimming pool with water slides and a separate paddling pool. A welcome drink is organised every week and other activities are on offer in high season, including themed meals and sports contests. The site’s snack bar offers a range of hot and cold snacks. Lesconil has a number of good sea food restaurants, as well as plenty of shops and other services. Running close to the site, the GR34 long distance footpath (sentier des douaniers) offers some superb coastal walking, stretching around the Breton coastline as far as Mont Saint Michel. Fishing remains an important part of the local economy and the daily return of the fishing fleet is a colourful sight. Sanitary facilities include hot showers and provision for children and disabled visitors. Washing machine. Motorhome services. Bar and snack bar (15/6-15/9). Heated, outdoor swimming pool complex with water slides and paddling pool (1/5-30/9). Play area. Accommodation for rent. Entertainment and activity programme. Entertainment and activity programme. Bicycle hire. WiFi (charged). Max. 2 dogs. From Pont l’Abbé, head south on D2 and D102, passing through Plobannalec-Lesconil. Continue to Lesconil and follow signs to the site on rue Paul Langevin.